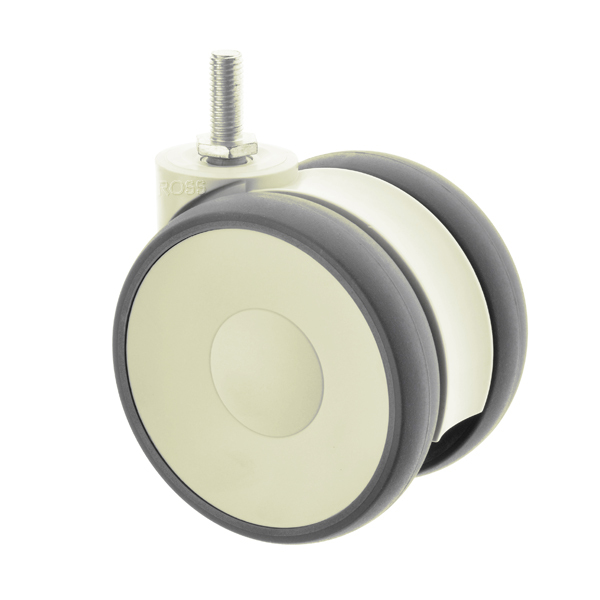 LS Series Casters are a modern and stylish white twin wheel caster with grey non marking polyurethane tyres. These contemporary casters are ideal for display equipment, hospital screens and medical equipment. With a choice of two threaded stem fittings, for ease of attachment, these can also be supplied with or without footbrakes.